Evaluating the socioeconomic benefits of power transmission projects is often viewed as challenging, since the potential effects are multi-faceted and widespread. REMI cordially invites you to a guest webinar presentation on Wednesday, May 2nd, 2018 from 2 to 3 p.m. EST with Jinglin Duan, REMI PI+ analyst at London Economics International LLC, and Julia Frayer, the Managing Director of LEI, who will discuss a study their organization conducted for WIRES, a nonprofit trade association. 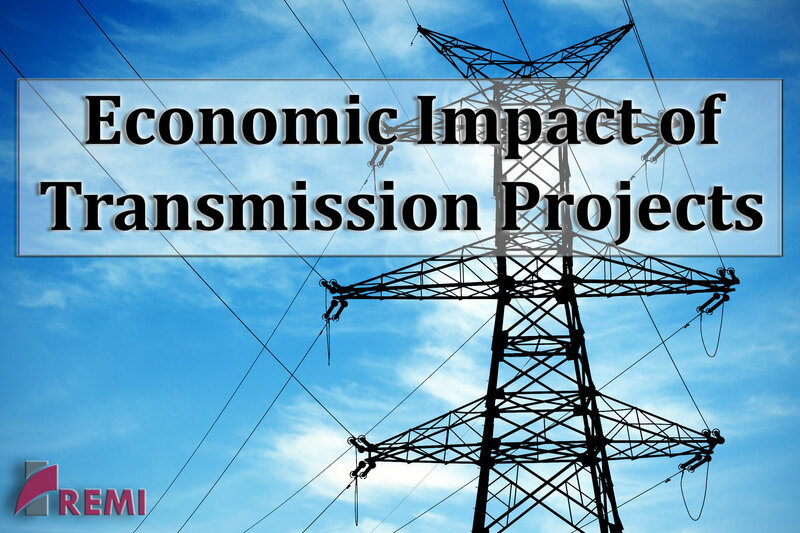 To conduct this study, LEI utilized two hypothetical, yet realistic, interregional transmission investments in two diverse market settings – one in the Eastern U.S. and the other in the Western U.S. The study’s authors analyzed the projected benefits by category and by beneficiary, and showed the locations and time frames of these various benefits during the lifetime of a typical transmission investment. For this presentation, Ms. Duan and Ms. Frayer will discuss in detail the analytical methodologies and modeling approach utilized in their study, as well as how the REMI PI+ model was integrated with LEI’s suite of power system models to comprehensively estimate the social and economic impacts of energy infrastructure investment.